Call us today for equipment rental! Whether you are a remodeling company or a rancher, you need high quality equipment to get the job done. When you're located in Abilene, TX there is only one place to get quality, late model rental equipment at a fair price. Bobcat of Abilene provides a wide array of tools for your projects. At Bobcat of Abilene, we provide equipment rental services to individuals and businesses for the time period that they need. We have everything you will need, from a Bobcat skid loader to a concrete saw. 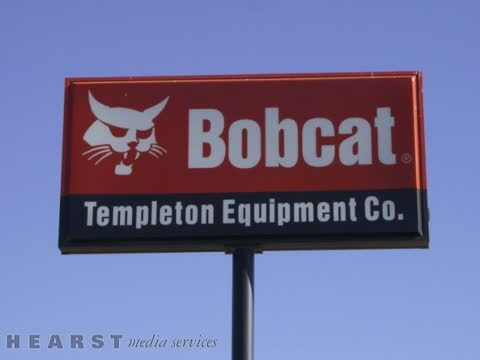 We carry a variety of Bobcat parts and contractor supplies to keep your project rolling. Come by and see our showroom for those hard to find tools and contractor equipment. We are conveniently located at 2249 So. Treadaway. Stop by our showroom to check out our in‐store contractor’s supplies and take advantage of discounted pricing on trowel blades, marking paint, shovels, hard hats and more. We also have Husqvarna Construction products which provide unmatched quality in concrete saws and diamond blades. We rent all sorts of contractor equipment rental! Are you working on a project, but do not have the tools you need in order to get it done? At Bobcat of Abilene, we offer a variety of contractor equipment so that you can get the job done. From backhoes and generators to saws and forklifts, our contractor equipment rentals will save you time. Call or visit us today for more information. We can help various businesses in Abilene, TX and the surrounding areas with our equipment rental services. We carry a large inventory of equipment in order to help you complete your projects with efficiency. Our rental equipment includes generators, compressors, tractors, shredders, forklifts, tillers, and other heavy equipment. We carry only top-brand equipment that you can completely rely on. If you are looking for affordable equipment rental for your upcoming project, get in touch with us today. We rent scaffolding, ladders, scissor lifts, and boom lifts for you aerial equipment needs. Another product we carry for contractors and homeowners is decorative concrete supplies. We sell Butterfield Decorative Concrete Products, Kemiko concrete stain, among other industry respected decorative concrete products. We also have concrete trowels and tools for concrete contractors. Turn to Bobcat of Abilene for your tool and equipment rental or purchase needs. Our extensive fleet of rental equipment includes general contractor equipment, industrial tools, pumps, power generation, scaffolding, remediation and more. Whether you need a forklift rental for your oilfield project or warehousing needs, we have got you covered. We have different types of forklifts available in order to best suit your requirements. If you wish to purchase our quality forklifts or need them on a rental basis, we can help you. We serve clients from in and around Abilene, TX with our quality services. If you have more questions about our forklift rentals, be sure to call us today. Bobcat of Abilene is committed to serving Abilene, TX and the Big Country with contractor equipment you can trust. We make sure to carry the most comprehensive selection of equipment rentals so you can rest assured that you'll get what you need to complete any project. From forklift to industrial tools, we've got it all. Give us a call today!